Subsequent episodes of The Council have been a bumpy ride, but the third chapter seemed to be pointing things back in the right direction. Even so, I wasn’t completely sold when the credits rolled on episode 3. Now we have The Council: Episode 4 - Burning Bridges. Does this penultimate chapter set the finale up for greatness, or will you be burning this bridge yourself? With that out of the way, let’s address an elephant in the room, shall we? 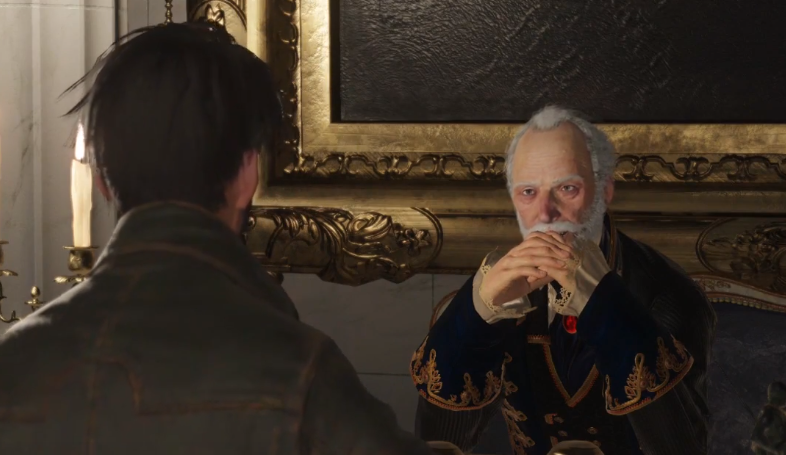 The second episode of The Council was pretty underwhelming after the knockout that was the premiere. Even so, the series still had my attention, if only for the excellent incorporation of RPG elements into your typical narrative adventure. That alone was enough to keep me going. Episode three brought us some interesting twists, including some answers to mysteries surrounding the disappearance of Louis’ mother. Of course, some old threads like the murder of Elizabeth Adams were still left dangling. Episode 3 culminated in a multi-layered puzzle that had us unlock the doors to an ancient catacomb beneath the manor. It was a big cliffhanger, and one of the reasons I was dying to try Episode 4: Burning Bridges. Episode 4 doesn’t wait too long to start throwing punches, and oh boy do they hit the mark. I would have loved to be a fly on the wall during the narrative meetings. Obviously I won’t spoil anything here, but suffice to say, I imagine the writers had several choices ahead of them for how they were going to take this series. On the one hand, they could continue with the political intrigue, perhaps unveil some who had been pulling the strings on the puppet masters. On the other hand, they could slam the wheel to the right and take things in an entirely new direction. While we had some pretty shocking revelations in episode 3, it was all still up in the air, leaving the option for the writers to pull things back or change direction. Episode 4 shows that the team at Big Bad Wolf isn’t afraid to try something new, and I could not be more excited that they did. Not only is the pacing in episode 4 miles ahead of what we’ve seen in prior episodes, but the revelations, confrontations, and tense moments come flying at you one after another in quick succession. It’s the shot in the arm the series needed, hands down. I also noticed a few other tweaks that made me feel like someone at Big Bad Wolf must have read my prior reviews. In the past, I’ve been annoyed with the fact that the amount of collectibles and items suddenly dropped off after episode 1, making it difficult to accumulate effort points and utilize the abilities we had worked so hard to develop. Well, someone heard me, because Episode 4: Burning Bridges, had more items to find and collect than the last two episodes combined, and it was all the better for it. Having access to my abilities during the numerous confrontations really brought back the intensity and strategy that made me fall in love with the series. At this point, you probably have enough skill level to also solve some problems you couldn’t in the past. For example, there’s a servant near the staircase in the main lobby area that possesses several items, but without high-level skills, you can’t convince him to give them up. Well, as I was playing this episode with my player 2 and unofficial review assistant, Christina, she took more than a little pleasure in using her skills of logic and manipulation to rob the poor soul blind. It was a culmination of our hard work and strategy that really paid off and showed how this system can truly reward player decisions in the long-term. The Council: Episode 4 - Burning Bridges is not only a return to form for the series, it’s the best episode we’ve had since the premiere. The loss of the talented people at Telltale Games leaves a hole in the gaming industry, but with the release of The Council: Episode 4, Big Bad Wolf has placed themselves in a position to help us gamers through this difficult time. When they released the first episode of this series, I was blown away by how they managed to so stylishly weave RPG elements into the narrative adventure formula we’ve come to know and love. In the second episode, it looked like they may crumble under all the ambition, but the series has been on the upswing ever since. With the release of this fourth chapter, I am not only blown away with the studio’s talented developers, but I’m also incredibly impressed that they were willing to take such a risk with the story. Oh boy, did it pay off. If you’re on the fence about The Council, now is the time to grab the season pass. The finale cannot come soon enough.